The Dog Days of Summer are upon us and with that comes pending hikes, camping, beach days, lounging by the pool and numerous other outdoor activities. One thing they each have in common is that you will want to enjoy them all with your music. 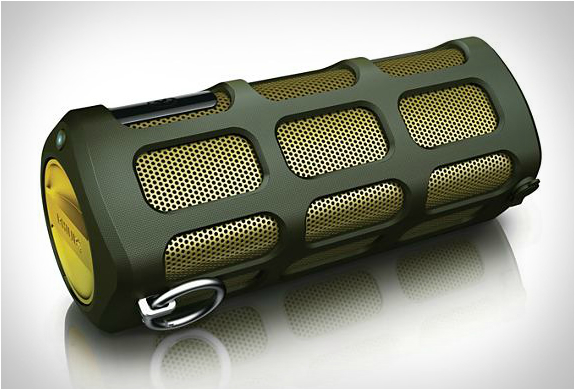 Philips has come up with a rugged, splash-proof, drop-proof bluetooth accessory you gotta get. 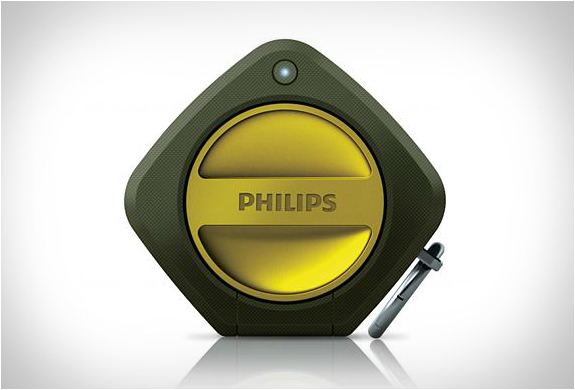 The Philips Shoqbox SB7200 series portable speaker is just what you need to enhance your outdoor experience. Powered by 2 neodymium drivers you can also pair 2 shoqboxes into L-R speakers for true stereo sound. Bluetooth streaming and a built-in mic for speakerphone add versatility and convenience to the unit while a swipe sensor to skip songs and a voice prompt for feedback give it a techy vibe that you will want to share with your friends. It works with most Bluetooth smartphones, tablets and music devices and has a range of about 30 feet. Head over to Philips site HERE to learn more or order yours by clicking HERE. 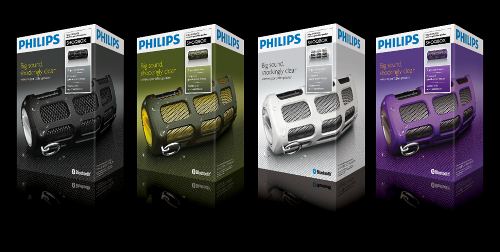 The Philips SHOQBOX is available in 4 different colors, has an 8-hour rechargeable battery and offers 8w of premium sound making any outdoor adventure instantly better. 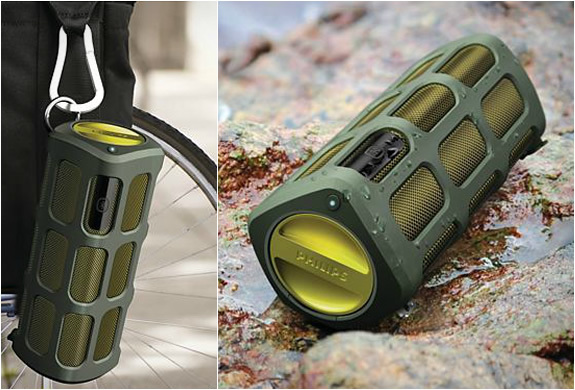 This entry was posted in Accessories, Gadgets, Music, Summer Must Have and tagged Bluetooth speaker, Gadgets, outdoors, Philips, philips shoqbox, Shoqbox, splash proof, Technology. Bookmark the permalink.